From 8 € per pers. The extraordinary choreographic adventure called Extension Sauvage performed in the Gardens of the Château de la Ballue continues in 2015 in its 4th edition. A nationally recognised event, the festival has been an enormous success since 2012. Created by the choreographer and dancer Latifa Laâbissi, this choreographic adventure in a rural setting is an invitation to discover or re-discover contemporary dance in the setting of a certain landscape. 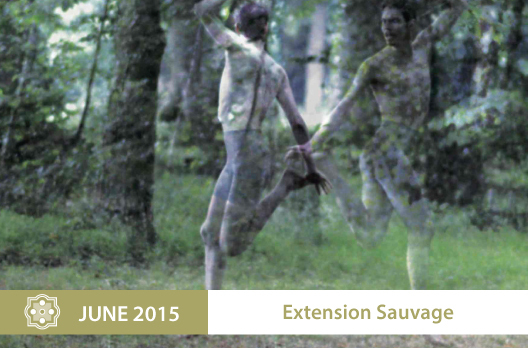 Saturday June 27 and Sunday June 28, 2015, the Extension Sauvage Festival returns for the third time to the prestigious Château de La Ballue, presenting over two days, with an evening of events on the Saturday in the gardens and forest, major works from dance history as well as more recent pieces. Choreographer s and dancers from all over the world have been invited. Tickets are also available at the door at the Château de La Ballue on June 27 and 28.